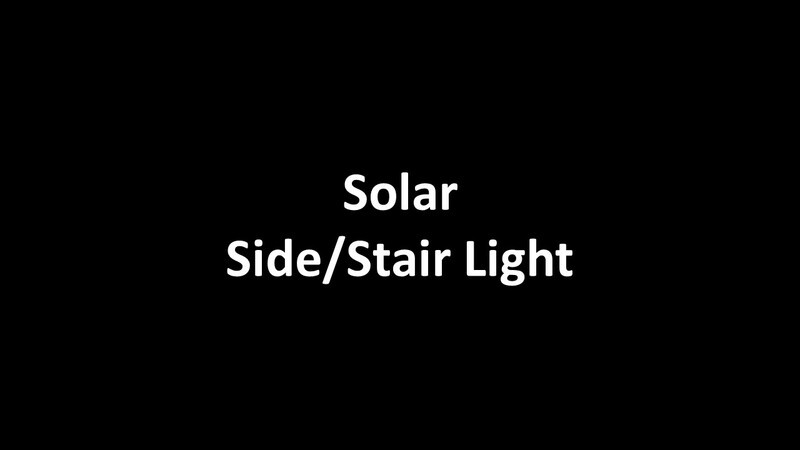 The LED Solar Stair / Side Light comes with 2 Covers, a Full or a Half Cover. You can use this LED light on a deck post or as a riser light and control how much light you want. The Solar Stair / Side Light plugs into either the Island Solar Post Cap with Accessory Connection or the Contemporary Pyramid Post Cap with Accessory Connection. This unique configuration allows 2 or more Solar Lights to be powered off a single Solar Light. These are Solar powered lights. They will not work in a Low Voltage system. Use the Low Voltage Stair/Side Lights for 12V lighting. Contains: (1) ea. Lens w/ (2) ea. LED, w/ 9" lead wire, (1) ea. Half Cover, (1) ea. Full Cover, & 2 Screws.